Sovereign’s Corporate Services Director Ian Le Breton heads up a team charged with responding to the revolutionary developments in the ‘distributed ledger technology’ (DLT), ‘Blockchain’ and ‘cryptocurrency’ spaces. Here, he discusses Gibraltar’s new Digital Ledger Technology (DLT) Regulatory Framework, which was brought into force on 1 January 2018. We are regular attendees at industry events, be they seminars, exhibitions or plain old-fashioned sales pitches. Time and again, no matter where we are – in Europe or further afield – as soon as Gibraltar is mentioned, the excitement mounts. People start salivating when I explain that not only do we employ more than 100 staff locally but that we have also been established on the Rock for over 30 years. But why? What is about Gibraltar’s approach to the brave new DLT world (or Blockchain if you prefer) that causes such excitement? And is the hype justified? Put simply, Gibraltar’s regulatory approach is groundbreaking and truly innovative. Since 1 January, any firm carrying out by way of business, in or from Gibraltar, the use of DLT for storing or transmitting value belonging to others (DLT activities), will need to be authorised by the Gibraltar Financial Services Commission (GFSC) as a DLT Provider. The GFSC has also laid out nine principles for DLT Providers that are designed to protect consumers and Gibraltar’s reputation, and ensure that the regulatory outcomes are achieved. 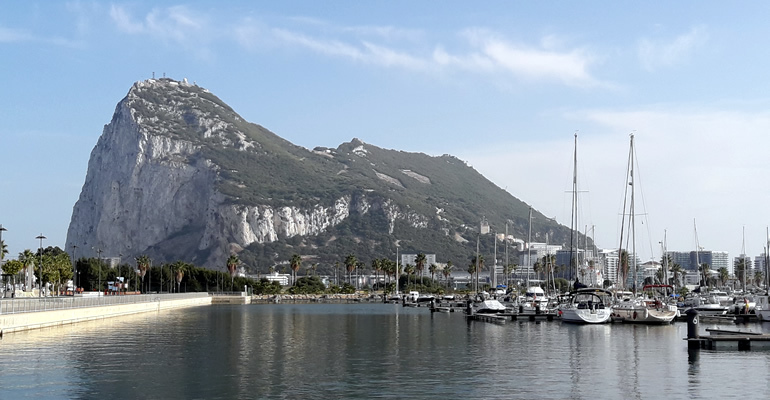 As one of the largest regulated financial services players in Gibraltar, Sovereign is already authorised by the GFSC, so we are ideally placed to help new entrants seeking to establish their DLT business on the Rock. Finally, it is a pre-condition of regulation that all licensees should establish a presence in the jurisdiction and be controlled and managed from Gibraltar – in other words, real substance must be created. Again, Sovereign has vast experience in setting up and managing new businesses in Gibraltar, so we can assist from the earliest planning stages. The Gibraltar government believes that DLT has the same potential for Gibraltar as the online gaming industry. Gibraltar was one of the pioneers in relation to the licensing and regulation of online gambling services and for two decades has maintained its position as a world-leading e-jurisdiction, with no corporate failures in that time. In my view, the hype is therefore wholly justified. DLT is the way of the future and Gibraltar is leading the way. Contact us if you are planning to be part of it to see how we can help.